Today's event is Facebook's second high-profile product event this year. The first was the rollout of its social search feature in January. Facebook's News Feed, which displays an ever-changing stream of the photos, videos and comments uploaded from a user's network of friends, is one of the three 'pillars' of the service, along with search and user profiles. The last major update to Facebook's News Feed was back in September 2011. My prediction is that tomorrow morning (IST) my Facebook News Feed will be full of updates, mostly against the new changes that Facebook would announce in sometime from now. Users, by default, are resistant to change. And this makes introducing new features, particularly altering the existing, a challenge for Internet companies. I like so many of you think of the Facebook Timeline is a wonderful feature, but all of us would know a few Facebook users who are dead against the Timeline and had resisted moving to it until Facebook forced them to. I feel that with time Facebook is becoming more open and Twitter more closed. Hope Facebook opens up more for other sites/services to make better and more use of the vast wealth of information that its billion plus users have share. Hope Facebook also announces further enhancements to its search. 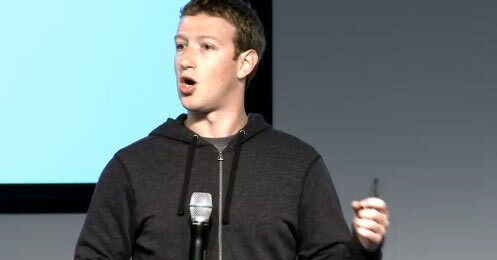 Mark Zuckerberg comes on stage to talk about the News Feed. We wish to give everyone in the world the best personalised newspaper. 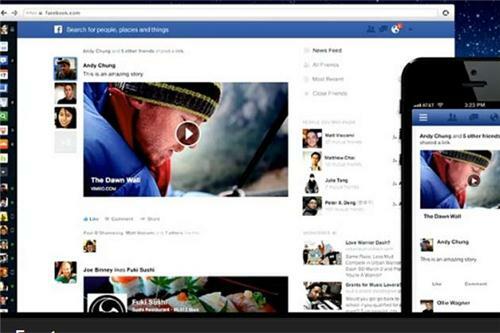 Zuck showing the evolution of the Facebook News Feed. Rich stories (visual and engaging), your choice of any feed and a mobile-inspired Facebook UI. These are the three things that define the new Facebook News Feed.